Negative energy is something misunderstood by many people. It’s this way because we use it out of context and in mixed terminology with physics. The energy we refer to is a byproduct of environment appearing in a form of a program or mould of perception. It can affect the momentum of our emotions and the information we perceive. We call it energy for the lack of a better term. What this means is that this type of energy can either make us perceive things in a positive and constructive way, it keeps our spirits high, raises our emotions and feeds our minds with positive information. Or, it can be of a negative character, making us perceive things in a negative way that lowers our spirits and emotions, and feeds our minds with information that’s destructive and negative. Subjectivity plays a big part in the way this environmental byproduct affects us, however, sometimes its intensity can be what determines our subjectivity. Both types of energy can affect the way we shape our reality. But don’t look at the one as better than the other, both types of energy have their purpose, they either help us grow or realign us with reality. It’s not all the time that we’re on high spirits. We have our low days when we need to make introspection and realign with our truth. Negative energy can affect us in a bad way and we can feel drained, depressed, experience headaches, a gloomy outlook on life, and a lack of motivation. However, it’s not the negative energy that does this, it’s how we react to this energy. Sometimes we are strong and highly resistant to negative energy and it doesn’t have this effect, however, sometimes we are tired and easily affected by negative energy. Then we need a little help and more effort to protect ourselves from negative energies and not succumb to them. The following tips may help you protect yourself in such days, especially when you’re around with toxic people. 1. Have a sage smudging ritual. Sage is found to have a powerful antibacterial and antioxidant properties. It also helps in other issues like depression and dementia. Using smudging with sage cleanse yourself and your space. Other alternatives are palo santo and incense. Palo santo is the best option when you’re sensitive to smoke. Just use it in mist form. 2. Cleanse your environment with sea salt. Put a pinch of sea salt in a bowl. Add the lemon essential oil and place the bowl in the center of your home or in the toxic environment. Change the water as needed and throw it outside instead of the drain. This will give you a beautiful and relaxing smelling sensation that will promote feelings of protection and purification. 3. Enclose yourself in a ball of colored light. You will keep the negative energy from affecting you by imagining yourself enclosed in a protective ball of pink or blue light. 4. Avoid people who are negative. Because you’re not in a position to resist negative energies when you are tired, avoid spending time with negative people, even if you love them. You can use relaxation techniques or visualization techniques. Visualize pushing away the negative energies. Or, do something that is relaxing. 6. Use prayers and mantras. Prayers and mantras are good means of protecting yourself. Create your own specific prayer or mantra for energetic protection. 7. Draw the second Reiki symbol. The Reiki symbols are considered sacred and believed to help in improving the flow of Life Force energy. The second symbol called Sei He Ki is the symbol for emotional and mental healing. Drawing this symbol in the corners of your home or space protect you from unwanted energy. Vibration techniques like drumming, rattling, or ringing bells is a quick way to clear yourself, your space or your thing. 9. Cleanse your crown with Nag Champa. Use the Nag Champa or Dragon’s Blood incense in clearing your crown. Circle the crown 3 times using this incense. This also cleanses your third eye and throat chakra. 10. Reduce drama from your life. Drama can fill you with energy but it can also be what drains your energy. Do not listen to other people’s drama, especially in days you feel tired because it can affect you. Drama gives us energy when our ego is rewarded. But when you are tired you will just absorb the negativity and let it affect you. Set healthy boundaries to protect yourself from people who are called energy vampires. 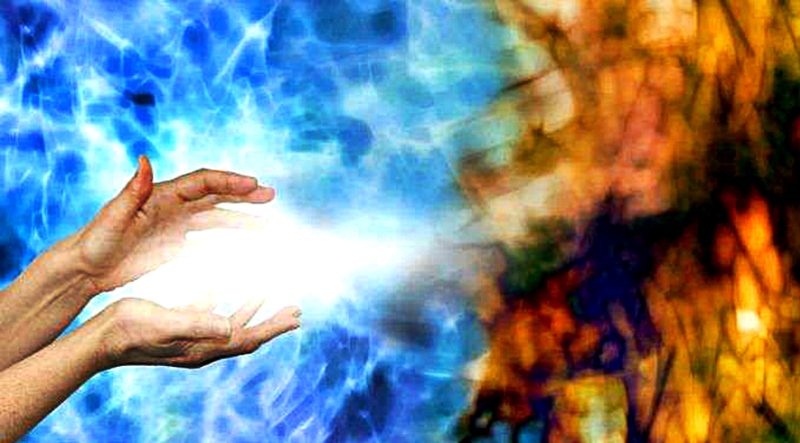 You can ask the experts in aura cleansing to aid you in your aura clearing process. But if you don’t have access to them, you can do it your way. You can cleanse your aura by bathing in sunlight, swimming in salt water, bathing with Epsom salts, and meditation. Crystal pieces of jewelry are good in protecting yourself from negative energies because of their perfect molecular structure. They subconsciously give us a sense of purity and perfection. The best are black tourmaline, jet, hematite, tiger’s eye, and black obsidian. 13. Surround yourself with happy people. Happy, positive, and joyful people are great to be around with. They raise your vibes in a positive way and lift up your mood. Whenever you feel a bit gloomy, reach out for them. We all need a little positivity lift from positive people sometimes. 14. Stay away from the crowd. Staying away from the crowd while you’re in a vulnerable state is the best choice. Avoid the crowd for awhile and mingle with them again when your energies are strong enough. If you feel you’re caught in a toxic environment, come to the present moment. Try to feel the temperature, hear the sounds around you, smell the smells around you, let your thoughts flow and just observe. When you just observe, you cannot be affected. You can ask for the reason behind the toxicity you perceive and learn from it. There may be some energetic ties that you need to cut or some wounds that need healing inside you.